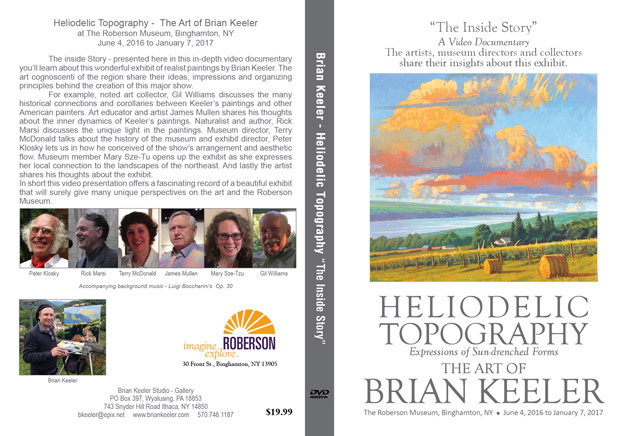 I am excited to announce that three new art instructional DVD's have just been finished and are now available. 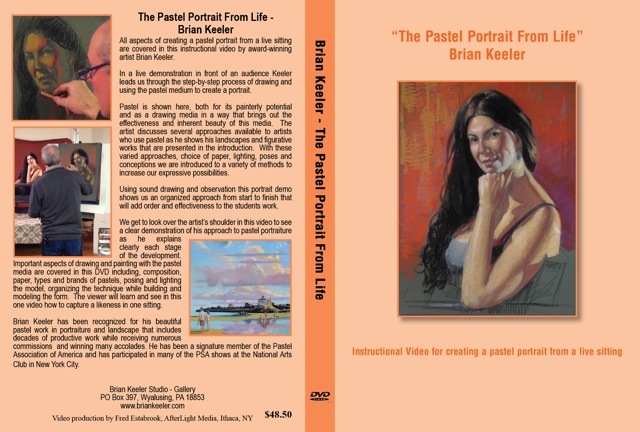 Each one will offer many insights on painting the landscape and portrait- for students of all levels. 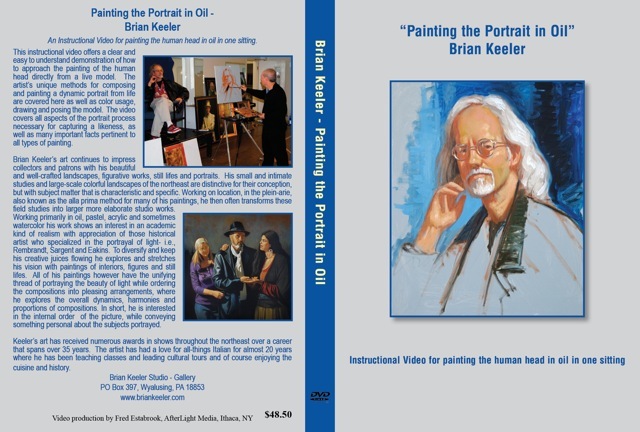 The material on these DVD's will provide an abundance of useful information for artists working in oil and pastel, and all three were professionally videotaped and edited to make them clear and concise. They will hopefully inspire your art endeavors or make great presents to aspiring artists on your gift list. They sell for $48.50 each. 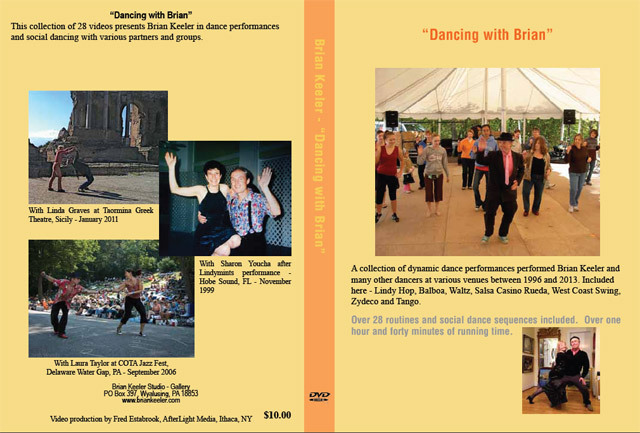 To order send a check plus $4.00 shipping for one and $2.00 for each additional DVD, and PA residents add 6% sales tax (for merchandise only not shipping). 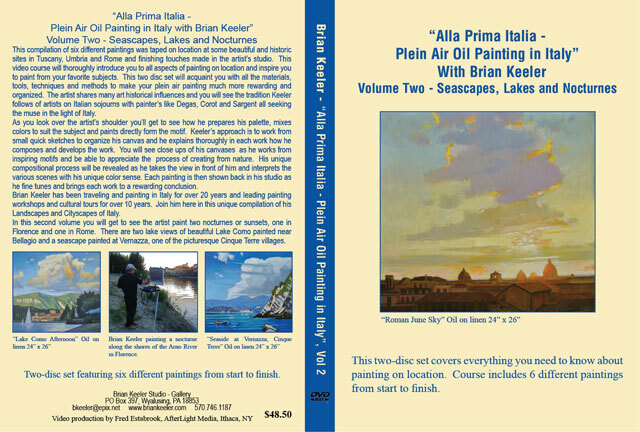 Two new plein air oil painting Instructional DVDs. 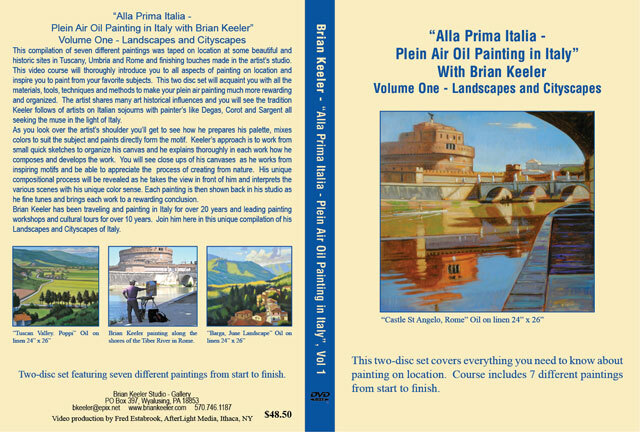 Look over the artist's shoulder as he paints historic and beautiful locations in Italy and then finishes them up in the studio. 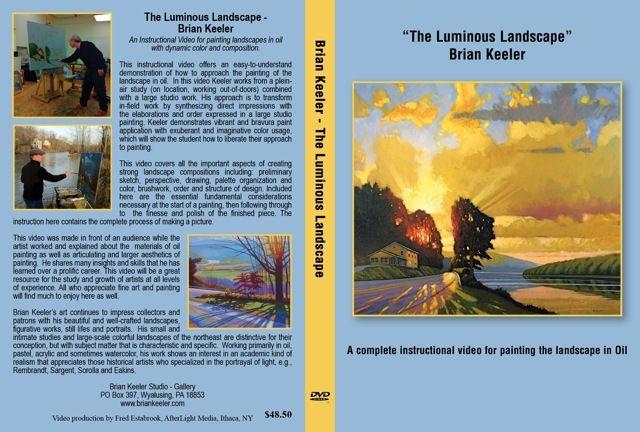 These two volumes are unique amongst the instructional videos on the market as there is nothing else this extensive, thorough and pertinent to painting out-of-doors. © 2007 Brian Keeler Studio. All rights reserved.